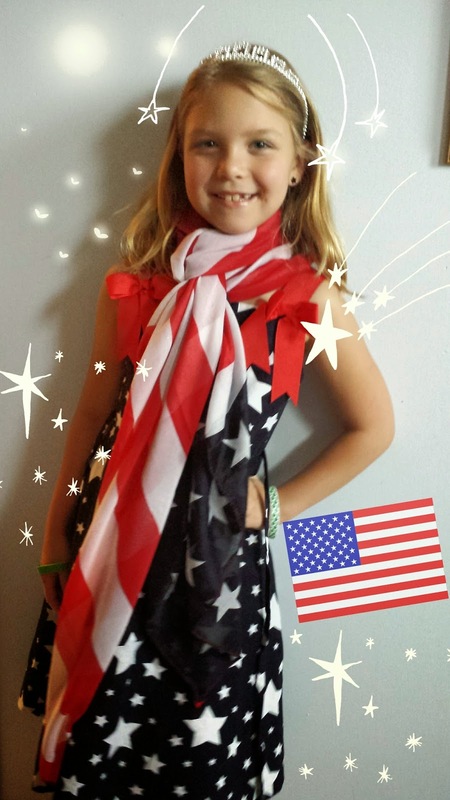 Mommy's Nest: Happy Fourth of July! Boo Boo La La is the biggest reason I get up in the morning. She is fun to be around,(most days!) She is super creative and smart. And she has a FLAIR for fashion. Who could ever forget the Project Runway Boo? She is thoughtful and kind. She wants to hold and feed her baby cousin, she wants to help friends with their school work, she put on a magic show for the "little kids" at daycare, she thinks about how other people feel. Since pre-school every teacher has described her as a "mother hen". I want my child to be kind to others no matter what. Where does that come from? How did it happen? And, more importantly, how do I not screw that up? What a sweet post! I hope she comes across this when she's older and realizes just how much you love her. Obviously, you don't give yourself enough credit mom! The apple never falls far from the tree.